DFC - 24 Oct 1941, MiD – 1 Jan 1945, MiD - 14 Jun 1945, Commendation?. Plt Off: 16 Aug 1922, Fg Off: 16 Feb 1924, Flt Lt: 1 Jul 1928, Sqn Ldr: 1 Aug 1936, Wg Cdr: 1 Jul 1939, (T) Gp Capt: 1 Sep 1941, Act A/Cdre: 12 Feb 1944, Gp Capt (WS): 12 Aug 1944, Gp Capt: 1 Oct 1946, A/Cdre: Retained. 16 Aug 1922: Pilot, No 24 Sqn. 14 Sep 1923: Pilot, No 28 Sqn. 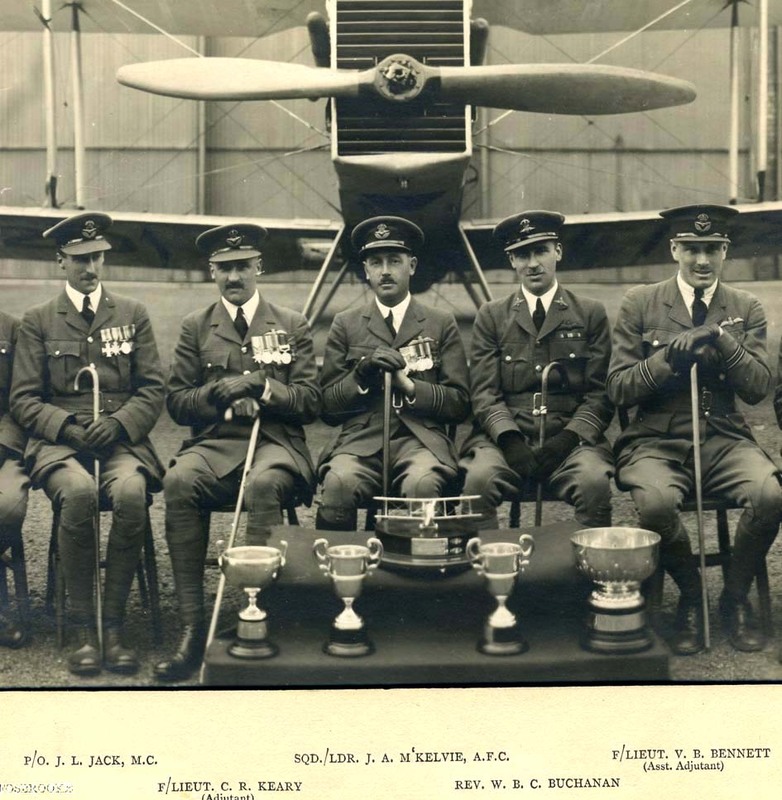 1 Oct 1928: Adjutant/Instructor, No 602 (City of Glasgow) Sqn AuxAF. 4 Feb 1929: Flight Commander, No 504 (County of Nottingham) Sqn. 23 Dec 1931: Flight Commander, No 26 Sqn. 21 Jan 1936: Attended Army Staff College, Camberley. 4 Jan 1938: Air Staff, HQ Bomber Command. 12 Apr 1941: Officer Commanding, No 10 Sqn. 24 Apr 1941: Officer Commanding, No 10 Sqn. 16 Jan 1942: Group Captain - ?, Middle East Command. 12 Feb 1944: AOA, Mediterranean Allied Coastal Air Force. Retired at his own request.